Forgetting where you parked your car in the parking lot is something that happens with the best of people. Most of the times, it takes an extra 10-15 minutes to locate the area we parked the car and it only gets worse if we are visiting a new city or are in a hurry. Fortunately for us, technology seems to have a solution for this as well! There are a plethora of apps available on Google Play Store that can help you locate your car in no time so you never have to waste an extra minute ever again. In this post, we’re going to share some of the best car locator apps for Android that can be used to find your car when parked in an unknown location or vast parking lot. Forget the hassle of looking for your car when you are in a hurry! Use one of these amazing car locator apps for Android to get to your car quickly! Car Locator is the “1st place winner in Verizon’s Power Your App Contest” as per TechCrunch, Wired Magazine and other sources. It is a life savior app that is designed to help you locate your parked car. The app comes with mind-blowing features and capabilities such as Map Split-Screen view and reminders to fill up fuel. It can automatically save location on Bluetooth disconnect or car undock. You can easily and automatically sync, save notes, photos and import location with Evernote account. It displays live wallpaper that always points towards where your car is parked. If you’re looking for an app that helps you to locate your car in a parking lot then Find My Car is a good option. It is an effective car locator app to find your wheels when you’re in hurry and helps you to save time for better use. The app saves the GPS location of your car and walks you through to the parking spot with Google Maps so you can get in your car without wasting your precious time. The app supports compass navigation that means you can easily offline navigation your parked car with a compass. It allows you to use Google Navigation to navigate to your car. If you’re lending your car to your friend you can share the location with them so they can easily locate the car without any trouble. It is an incredible car parking app that lets you park your car in a smarter and faster with ParkMe. Moreover, as per its developer, ParkMe is considered as “the world’s largest and most accurate parking app”. You can also check out the real-time information about the remaining spots that are open in a precise garage or lot for your friends and colleagues. You can use the app to avoid overstaying, overpaying or getting a ticket just by setting the parking timer. You can view the daily and monthly parking charges. It also updates the prices dropped on the map and helps you to compare the prices with another. The app helps you to find the parking spot in over 500 cities around the world including United States, Canada, and Europe. Waze has a lot to offer apart from navigation. It is an amazing app that not only helps you with the routes but also provides information about traffic, police, accidents, to find parking spot etc. However, you need to activate the GPS locator to find your parked car. Waze is designed on the satellite technology that means you don’t need Internet to use the app. Indeed, using the app can help you save time and give you peace of mind. With the help of GPS, you can find a perfect parking spot for your car. It helps to instantly change your route to avoid traffic and to reach your destination on time. You can locate nearest, cheapest and on route gas stations and hospitals. Track Location & Car is one of the best car locating apps that automatically stores the location of a parked car. You can always know where your car is parked without doing anything special. In fact, you can locate the car just by tapping on “Find My Car”. It is a fast, simple and easy to use the app. By using the app, you can export data more easily. The app is capable of providing walking and driving directions to the nearest car parking area. In fact, it automatically shows where is your parked by using 3D Google Maps and radar. Car Finder AR is another one of the best car finder apps that makes sure you never lose your car again. Use the Sharing location feature to let your friends know where you’ve parked your car. The app supports new GPS Auto track /Car recovery mode that helps to track your car if it gets stolen. It provides driving and walking directions to your parked car. Last but not the least, Parked Car Locator is one of the reliable application that helps you to find a perfect and nearest parking spot so that you don’t need to walk much in sunlight. You can save the location of where you park your car and follow the same directions to be in the same spot once you’re back. It is user-friendly and simple to use application. You can use the GPS navigation to get distance and direction to reach the parked spot. You can check the history to check where you parked your car last time. 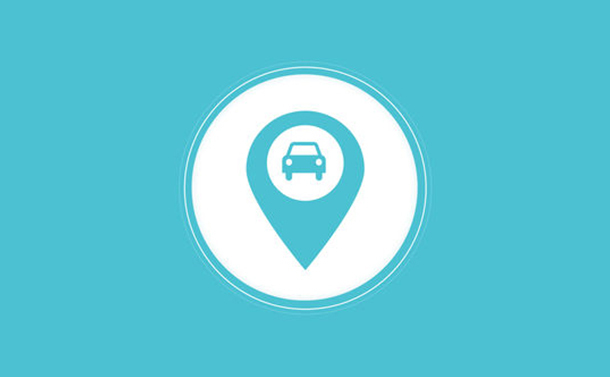 So, these are the best car locator apps that you can use to find your car. Download and install the one that suits your requirements.